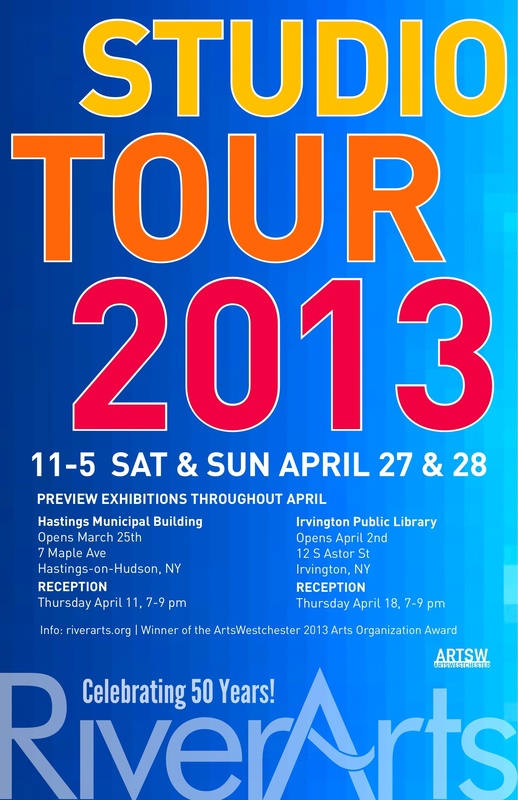 The Hastings-on-Hudson, Tuesday series, from 7PM – 9PM, is already well underway, with only 5 events left. Tonight’s performer is Wess Meets West who infuse elements of electronic music and post rock to blend otherworldly soundscapes. Please park in the Zinsser Commuter Lot across from the Hastings-on-Hudson train station. If there are no spaces available, please cooperate with police and event staff who will direct you to available parking, free after 6PM. Also, free shuttle service is available from 6PM – 9PM. The shuttle will run in a loop from the Zinsser Commuter Lot to the park. You may bring food and beverages to the event, however they will also be available for purchase. Should you wish for a slightly more formal way to enjoy the show, a great place might be at a table, outdoors, in the garden at Harvest on Hudson, directly adjacent to the park, a proud sponsor of the event. On September 8 there will be the Grand Finale – The River Spirit Music & Arts Festival, a full-day event at Draper Park, also in Hastings-on-Hudson. The September 8 event requires tickets, which range in price from $10 – $15 for children to $35 for adults. Children under 5, free. For information about buying or selling a home in the Rivertowns or to stay abreast of future events like this one, please fill out the form below. Or simply subscribe to this newsletter, in the upper right sidebar. Dobbs Ferry will be hosting its fireworks display on July 4th at dark, probably in the vicinity of 9:00 PM. The display will be shot off from the north end of Waterfront Park on the Hudson River. 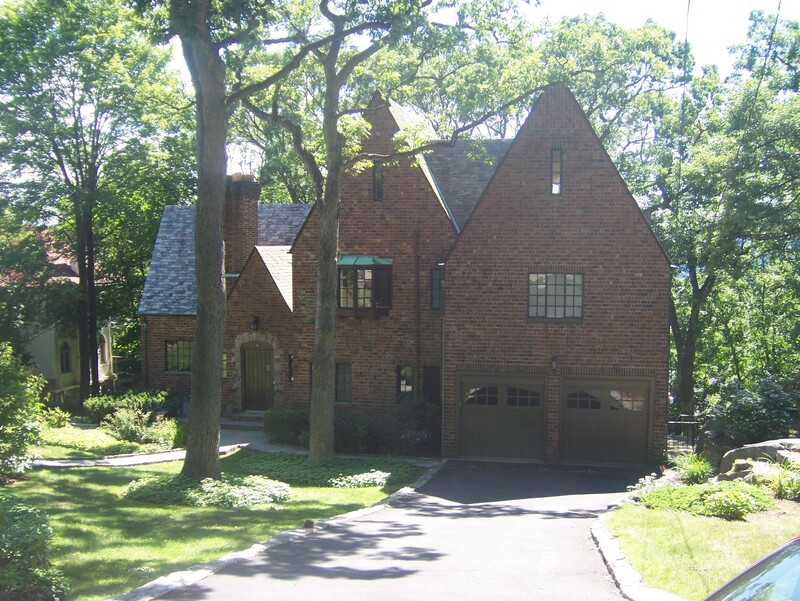 Parking permits are required to park in Waterfront Lot, but those permits must be purchased in advance at village hall. Other than parking, this event is open to the general public. Prior to the show the village is also sponsoring the Thomas Cullen Picnic starting at 3:00 PM, also on the waterfront, parking permits required as well. Entertainment by Joe Rooney. A great way to enjoy a dinner and fireworks show might be at one of the waterfront patios at The Half Moon Restaurant. The village of Irvington will be having its fireworks show at dark as well, from the north end of Matthiessen Park on the Hudson. This event is limited to Irvington residents for those wishing to enter the park and park passes are required. Parking is never guaranteed for this event, so the best bet might be to park in the village ahead of time and partake in one of the many fine Irvington restaurants for dinner before walking down to the show. Excellent viewing most likely can be also had from Red Hat Restaurant on the Hudson. 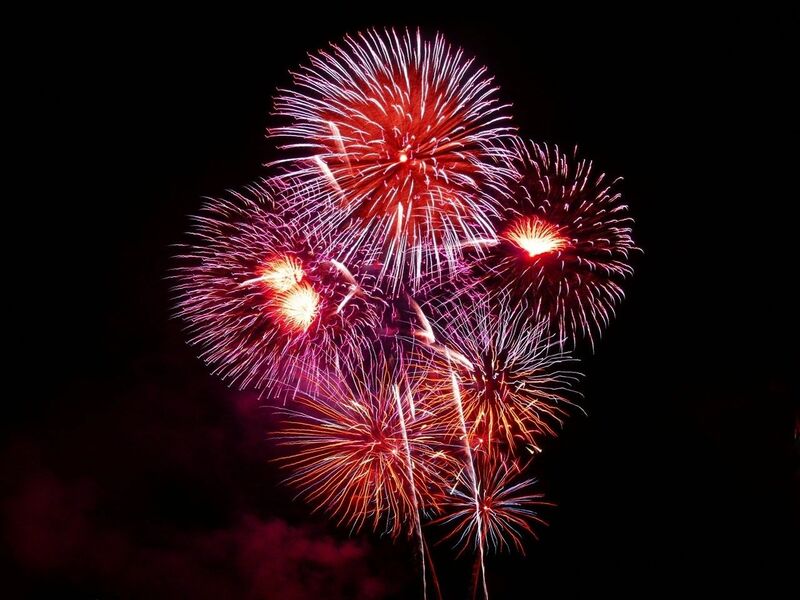 The Village of Tarrytown in cooperation with the Village of Sleepy Hollow will have its July 4th fireworks shot off at the General Motors site in Sleepy Hollow. The rain date will be July 5. Pierson Park remains under construction and will not be available to the public as a public viewing area. Scenic Hudson RiverWalk Park will be open, as well as Kingsland Point Park in Sleepy Hollow. The Hudson Harbor property, located just east of the RiverWalk Park and north of West Main Street is not available to the general public for viewing the fireworks. All of the commuter parking lots will be open and available to the public, including the West Main Street commuter parking lot. West Main Street will be closed just west of the West Main Street parking lot. If you can time your reservations correctly, a great viewing spot might be the 2nd floor deck of the Moon River Grill in Sleepy Hollow, overlooking the General Motors property. It seems an apropos time to repost something I wrote last year, about summer dining opportunities on the Hudson River waterfront in the Rivertowns. It is a testament to the strong experience of dining on the water and the quality of the restaurants mentioned in that post that nothing seems to have changed much, except for perhaps some prices. 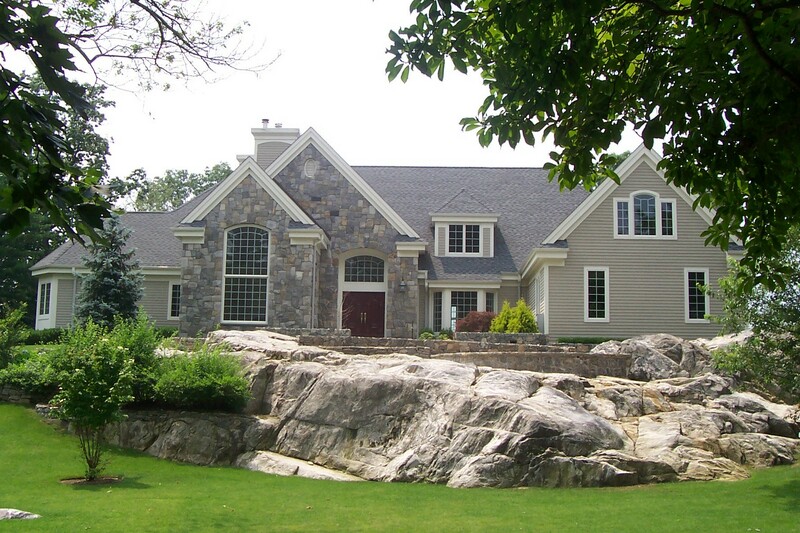 There is word however of the future opening of an offshoot of Crabtree’s Kittle House Restaurant, based in Chappaqua, on the Tarrytown waterfront, in the Hudson Harbor condo development under construction, adjacent to the Metro North commuter parking lot. “One of the really great things about living in the Rivertowns, is the easy access to a number of waterfront restaurants at virtually all price points. From a $12 glass of Chardonnay at Half Moon on the Dobbs Ferry waterfront to a $4 plastic cup of Pinot Grigio at Sunset Cove in Tarrytown. When the light is just right and the breeze is just so, if you squint your eyes you can easily imagine yourself sitting out in the Hampton’s or on the North Shore of Long Island. Dining spots on the river have their own special charms though. 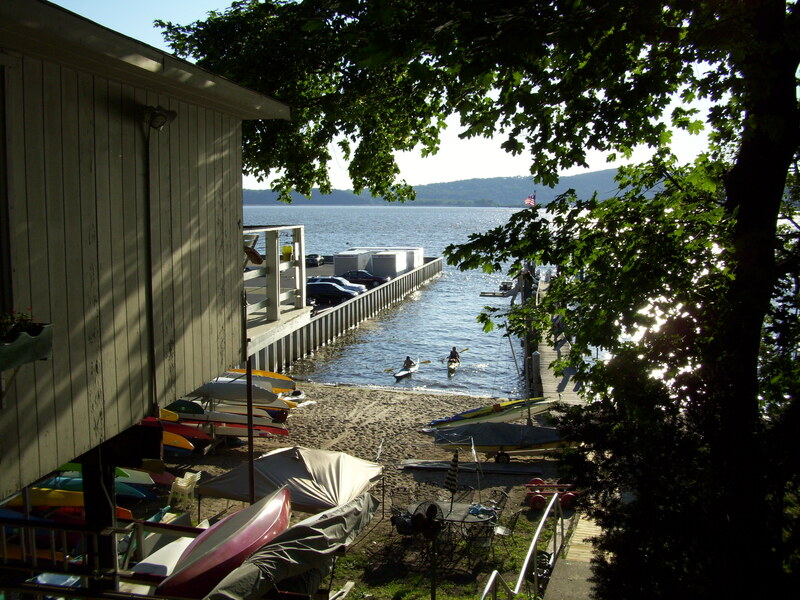 Some, like Sunset Cove and Striped Bass in Tarrytown are even accessible by boat. According to a recent news release from the NY DEC, another cleanup plan has been finalized for the 28 acre waterfront property in Hastings-on-Hudson NY, formerly occupied by the Anaconda Wire & Cable Company. 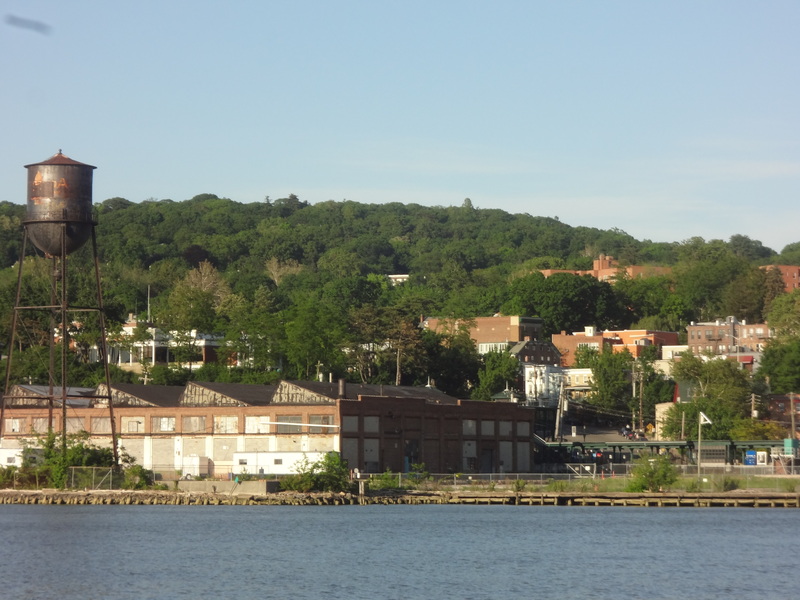 The comprehensive plan was developed with input from Scenic Hudson, the Riverkeeper, the village of Hastings-on-Hudson and the Atlantic Richfield Company. This plan caps a 60 day comment period and is expected to cost over $250 million by completion. Atlantic Richfield, the successor to the Anaconda Wire & Cable Company, will bear the cost of the cleanup. Portions of the remediation will include a new sheet pile bulkhead at the northwest corner of the property, creating almost 1 acre (.88 acre) of new land for the purpose of the containment and recovery of liquid PCBs. Sediments will also be dredged from the Hudson riverbed, extending up to 80′ offshore of the site, to a depth of 6′, including the former marina area. The expectations are to remove tens of thousands of cubic yards of contaminated river sediments and land soils, including the PCB and heavy metal contamination. This decision follows on the heels of a recent meeting to begin to address a similar, although perhaps less severe, contamination issue at the former GM site in Sleepy Hollow NY, also on the Hudson River, approximately 6 miles to the north of Hastings. With any hope, the collaborative combination of these efforts will help the Westchester Hudson riverfront to live up to the incredible potential it has for scenic beauty, waterfront uses, development and as a great natural recreational resource. As Spring slowly makes its way into the area, the pungent odor of anitfouling paint fills the air in many of the area’s waterfront locales. One of the wonderful things about living in the Westchester County, Hudson River villages, stretching from Hastings-on-Hudson, thru Dobbs Ferry into Irvington and on to Tarrytown and Sleepy Hollow, is the great direct access we all have to the water. Opportunities abound for river use whether via kayaks, sailboats, powerboats or any other kind of craft you can imagine. Some of us even swim in the Hudson River. Aside from the legalities of launching watercraft from any of the public waterfront park areas, there are also a number of affordable boat clubs and marinas in the Rivertowns that cater to all types of boaters.